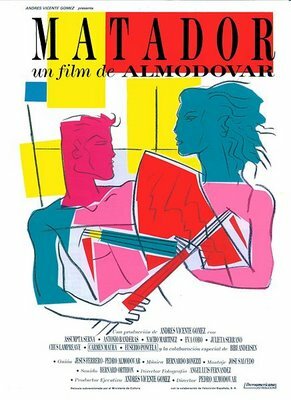 Pedro Almodóvar is one of my favorite directors. I have seen every one of his films and choosing a favorite is nearly impossible. I tend to gravitate towards his films that are not melodramatic works about female solidarity (as much as I love Women on the Verge of a Nervous Breakdown, High Heels and Volver). For that reason, Matador stands out the most to me. On one level it is a completely twisted movie, on another it is an exploration of freedom and desire. I just love this movie.